MURRAY, GEORGE HENRY, teacher, lawyer, and politician; b. 7 June 1861 in Grand Narrows, N.S., third son of William Murray and Jane Murray; m. 3 Sept. 1889 Grace Elizabeth Moore (d. 1933) in North Sydney, N.S., and they had three sons; d. 6 Jan. 1929 in Montreal. Born into a family of shopkeepers of Scottish background, George Murray moved to Sydney Mines shortly after his grandfather’s death in 1864 and then to North Sydney in the early 1870s after his widowed mother’s remarriage, his father having died in 1867. He attended school in both towns and while still an adolescent, he tried his hand at teaching in Reserve Mines for a year and in Georges River for a term, positions secured no doubt through the influence of his stepfather, John A. H. Rindress, a principal in Sydney Mines. 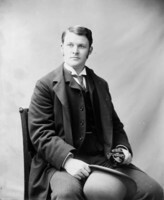 At 16 he moved to Halifax to study law; he returned home to North Sydney to be articled to James H. Hearn between September 1878 and May 1882 and then to Stephen Lowrey Purves until January 1883. After finishing off his formal studies at the Boston University law school, he was admitted to the bar of Nova Scotia later in 1883 and he would maintain a law practice in North Sydney with Daniel Duncan McKenzie until 1896. 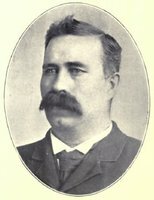 As a political aspirant, Murray contested Cape Breton County for the provincial Liberals in 1886 though he did not support Premier William Stevens Fielding’s controversial initiative for the repeal of confederation. Undeterred by his defeat, the next year he made the first of three unsuccessful attempts to win a seat in the House of Commons. He lost to David MacKeen*. The Cape Breton electorate was inclined to support Tory politicians because of Prime Minister Sir John A. Macdonald*’s policy of protectionism, which was considered beneficial for the marketing of the island’s coal. The local Conservative majority included Murray’s Presbyterian pastor at North Sydney, Isaac Murray*, a man quite willing to use the pulpit to advance his politics. George Murray later claimed that he was the only Liberal in the congregation to persist with this partisan spiritual leader and that he was able to get his own back in 1891 at the baptism of the Murrays’ first-born. He deliberately chose that most Liberal of names, Wilfrid Laurier, and enjoyed the preacher’s discomfort as he enunciated it over the infant. Murray’s defeats and his pluck brought him to the attention of the Liberal establishment, which embraced him as a promising prospect. In March 1889 Fielding appointed him to the Legislative Council. Shortly after his second federal defeat, in March 1891, he was reappointed to Nova Scotia’s upper house and he joined the Executive Council as a minister without portfolio and government leader in the Legislative Council. As a member of Fielding’s cabinet, he worked at exposing the failure of the Conservatives’ National Policy to benefit the mining population and he played a pivotal role in the negotiations that led to the organization in 1893 of the Dominion Coal Company, which amalgamated under one management most of the competing mines in Cape Breton [see Benjamin Franklin Pearson*]. 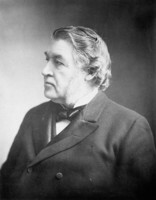 At the request of the island’s Liberal caucus, Murray reluctantly entered the lists for a federal seat again in a by-election on 4 Feb. 1896, this time against Secretary of State Sir Charles Tupper*. It was not a rancorous campaign. 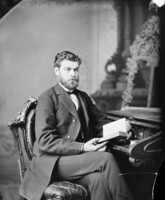 The previous year Tupper’s son Sir Charles Hibbert, then minister of justice, had expressed the federal government’s appreciation of Murray’s ability, at least as a lawyer, when he offered him a queen’s counsellorship. Murray initially turned down the distinction because of the local Liberals’ suspicion of Tory rewards, but his refusal was rejected. In the event, his electoral defeat by Tupper Sr came as no surprise. Notable, however, were two portents: the stand Murray took in favour of the development of local industries to provide a more reliable market for Cape Breton coal and Tupper’s prediction that his worthy opponent would have “a brilliant future.” In July 1896, after the Conservatives had been defeated and Fielding had joined the cabinet of Wilfrid Laurier*, Murray succeeded his mentor as premier and assumed the portfolio of provincial secretary, which made him responsible for Nova Scotia’s finances. In addition, he would function as queen’s printer, supervisor of incorporations and statistics, and the link between the cabinet and the departments of agriculture, health, education, and industries and immigration, and, as time went on, such boards as liquor control, utilities management, and workmen’s compensation. 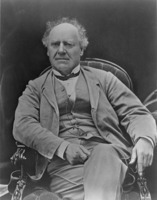 The succession of 1896 upset longtime Liberal stalwart Attorney General James Wilberforce Longley, but Murray demonstrated his conciliatory nature by keeping him in cabinet and, in appreciation of his own inexperience, by deferring to him on many occasions. The neophyte took his place in the House of Assembly after being acclaimed on 8 August in a by-election in Cape Breton’s Victoria County to the seat vacated when Conservative John Lemuel Bethune moved to the House of Commons. 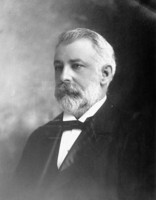 Murray’s first election as premier, on 20 April 1897, also marked his first personal success at the polls. According to political scientist J. Murray Beck, “no premier ever started out more auspiciously” than Murray, who benefited from the party organization bequeathed to him by Fielding and, until World War I, generally favourable economic circumstances in the province. 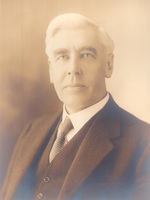 Though little more than a Fielding deputy for the first ten years, he remained premier until his retirement in 1923, winning his Victoria seat in five more elections (1901, 1906, 1911, 1916, and 1920). On the basis of his 26½ years of continuous service, he gained distinction as the longest serving leader of a British-style parliamentary government. However, his life was not without its dark side. He suffered a nervous breakdown following the 1901 election, an illness characterized as “gloominess, depression, want of confidence in himself,” and he missed most of the 1902 session when he went to the United States for recovery. He was dealt a devastating blow in the spring of 1910, just before the close of the session, when one of his legs had to be amputated above the knee as a result of a blood clot. When he returned for the 1911 session, one Conservative mha flippantly remarked, “Altho[ugh] he is not all there, there is enough of him to make it interesting for us.” Murray overcame his disability by resorting to a cane and artificial leg and the convenience of a chauffeur-driven automobile. Within the constraints dictated by the premier’s fiscal conservatism and cautious approach, which both contemporaries and scholars have acknowledged, the Murray government contributed to four major areas of provincial life: transportation and communications, practical education, economic development, and social policy. With interprovincial traffic moving over the Intercolonial Railway, the pre-war era was characterized by the development of an intraprovincial railway network. During Murray’s first decade as premier, the track mileage more than tripled, from 169 to 617. In 1901 he prided himself on securing from the federal Liberals the railway subsidy of $671,000 for branch lines that the previous Conservative government had refused to pay. In addition, he negotiated an arrangement that year with William Mackenzie and Donald Mann* for the construction of the Halifax and South Western Railway as part of their much vaunted transcontinental plans [see Thomas Robertson*]. Only the eastern shore was left without a line. (The Halifax and Eastern Railway, incorporated in 1906 and opened only in 1916, went inland, with construction stopping at Upper Musquodoboit.) Trains carried passengers around the province in pursuit of work, holidays, and business, and freighted goods for regional markets, replacing unpredictable water transportation and inadequate roads. These lines remained vital until motor vehicles and public highways began to cut into their business. Although trackage received more attention than roads, Murray’s government did encourage the construction of such elements of infrastructure as bridges and culverts out of reinforced concrete and other “durable” materials. A road commissioner was appointed in 1907 and during the next ten years expenditures on roads more than tripled, though, according to custom, spending was often determined more by patronage than by need. Major modernization occurred in 1917 with the abolition of statute labour for road maintenance and the establishment of the first provincial highway board in Canada to supervise rural road construction. Ostensibly a bipartisan board that reported to the Department of Highways created in 1918, the Provincial Highway Board ran into difficulty in 1920 as a result of cost overruns and political manipulation. Murray appointed a royal commission to investigate the charges, which constituted the one public scandal of his premiership. Although the inquiry revealed ample evidence of partisan politics in the operations of the board, the commissioners covered up these findings. The government responded to popular dissatisfaction by revamping the board and, under Alexander Stirling MacMillan* as chair and engineers as the other members, it subsequently pursued a more professional approach to road building. Technical advances also contributed to the expansion of the telephone system, Murray’s aim being to extend this modern mode of voice communication to all rural communities, and to the provision of cold storage facilities for the transportation of the fresh produce of both farms and fisheries. The first decade of the 20th century was characterized by considerable progress in the development of institutions for practical education as Nova Scotia’s promoters tried to provide a competitive edge for provincial resources. 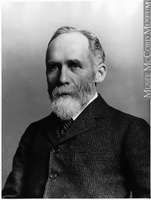 Murray introduced legislation in 1899 and 1907 that led respectively to the establishment of the Nova Scotia Agricultural College in Truro, to promote more scientific farming methods, and the Nova Scotia Technical College in Halifax, to end the competition for engineering programs among existing colleges and provide support for an industrial economy. Technical studies also included a strong component of adult education to provide, in evening schools across the province, training to upgrade technical and engineering skills and a mining program to replace existing mining schools. By the eve of the war, clerical and homemaking courses had been added for women, the importance of transportation was endorsed through classes in automobile maintenance, and in Halifax a school of navigation was inaugurated. Although a network of vocational secondary schools did not materialize as planned, Murray’s support for technical education was interpreted by contemporaries as one of his major contributions. Liberal backbencher Ernest Howard Armstrong* noted in 1908 that Joseph Howe* had given the province constitutional government, Charles Tupper had given it free schools, and Murray had given it technical education. The major educational initiatives were designed to contribute to resource development and industrialization. The Murray government also intervened directly, and perhaps naively, to promote the interests of capitalists in a period when their activities were characterized by exploitation of labour, watering of stock, influence peddling, hostile mergers, non-resident control, and private speculation at the expense of local advances. Nowhere was this trend more evident than in Cape Breton, where Murray was keen to see development. In 1899 his government authorized the so-called Big Lease in the northern part of the island to a New England consortium, which received highly favourable terms for pulpwood cutting and which, in turn, supported Murray. 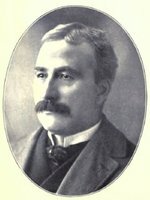 To help Boston financier Henry Melville Whitney establish an iron and coal industry in Cape Breton, the government approved in 1899 a 50 per cent reduction in the coal royalties payable to the province by Dominion Coal. The Dominion Iron and Steel Company Limited, controlled by the same group that had helped form Dominion Coal, developed an eminently suitable new industry, but it bought coal at such a low rate that it was detrimental to the mining industry. In addition, the inexperience of the directors meant that vast amounts of money were wasted in the course of constructing the company’s steel mill in Sydney. After Whitney sold out in 1901, both companies were briefly controlled by a syndicate headed by Montreal financier James Ross*. Their separation two years later did not last; in 1910 they were merged into the Dominion Steel Corporation and by 1913 the steelworks was consuming over half of the coal sold in Nova Scotia. Given the importance of coal royalties – in 1902 mineral dues surpassed the federal subsidy as Nova Scotia’s major source of income for the first time – it is not surprising that Murray supported the use of troops during miners’ strikes. His concern was normally with the welfare of the resource itself, not with the men. A bill allowing for the recognition of unions, introduced by the opposition during the miners’ strike of 1909–10 and supported along with other pro-worker measures by mha Arthur Samuel Kendall*, the most progressive member of the government, was opposed by Murray. In the Cape Breton strike of 1922 he modified his anti-labour approach only after he had negotiated a return of maintenance men to the mines to prevent their destruction through flooding. Despite his apparent interest in economic development, most historians would now argue that Nova Scotia’s coal resources were vastly underutilized and the potential for greater industrialization squandered during Murray’s premiership. As mining engineer Francis William Gray commented in 1917, instead of becoming “a metropolis of industry,” the province “achieved the status of a mining camp.” Nonetheless, at the time Murray promoted an immigration policy out of a sense of urgency, wanting in particular to attract farmers to feed the province’s growing industrial population, a campaign which had some success in Britain and the Netherlands. Although Murray expressed concern for natural resources, he did not support public ownership of the companies that exploited them. Admittedly, in 1909 his cabinet colleague William Thomas Pipes* did guide through an act for a public utilities board to set power, light, and water rates and in 1910 Alexander Kenneth Maclean* moved to strengthen crown lands policy, a sector that had been effectively criticized by Wilcox. 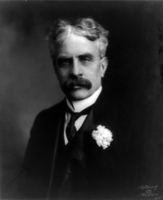 But in the contentious realm of hydroelectricity, where the new opposition leader, Charles Elliott Tanner, led the fight for public power, Murray, anxious to promote development, placed his faith in the corporate approach. In 1914 he argued in the assembly that “he would be glad to see private companies come in and develop water powers if the legislature took care that their rights were not exercised in such a way as to be inimical to the public interests.” The public interest was sometimes given short shrift, however. The Murray government’s support for the merger that led to the formation that year of the Nova Scotia Tramways and Power Company Limited, which was exempt from the authority of the utilities board, alienated the people of Halifax who feared, rightly, that a corrupt corporation would be sustained by unnecessarily high electric rates and tram fares. The government finally established the Nova Scotia Power Commission in 1919 to oversee the development of water-power. Health was another important area for social development. In particular, at a time when tuberculosis was still the great white scourge, the government passed legislation in 1900 for a sanatorium, opened in Kentville in 1904. A combination of interest in health and morals created a vigorous temperance movement, which secured the Nova Scotia Temperance Act in 1910. Stronger than the Canada Temperance Act, it applied to all areas of the province not voluntarily regulated by the provisions of the federal act, with the exception of Halifax, which continued to license the liquor trade until forced to conform with the provincial act in 1916. Although Murray, who enjoyed his drink, was not a prohibitionist and always expressed a preference for a federal solution to the contentious liquor question, he was willing to acknowledge the weight of public opinion. Historian E. R. Forbes has nonetheless interpreted Murray’s repeated opposition to prohibition before 1910 as deliberate obstructionism rather than the pragmatic gradualism he claimed to favour. The war provided Murray with a federal solution in 1918, in the form of country-wide prohibition, and in a plebiscite in 1920, a year after the relaxation of the Draconian federal measure, Nova Scotia endorsed a dry status, which would persist through the 1920s. The Murray years also saw the beginnings of state involvement in child welfare with the creation in 1912 of a superintendency to protect children’s interests and the establishment of a juvenile court. For women, there were more promises than action though some progress was made in the area of their rights as citizens. In 1913, and on other occasions, support in the legislature for their eligibility as school board members did not result in the necessary legislation. In 1917 a provincial suffrage bill also went down to defeat, with Murray’s blessing though he proclaimed women’s enfranchisement to be inevitable. In that year female lawyers became eligible for admission to the bar and in 1918 suffrage for women passed, this time with Murray’s support. In 1919 several women were appointed as commissioners of oaths for the first time. The Liberal agenda also included women’s welfare. In 1912 seats for young female workers in shops had been mandated and pensions, albeit parsimonious ones, introduced for schoolteachers, the overwhelming majority of whom were women. After the war, a royal commission, appointed in 1920 to examine the hours, wages, and working conditions of women employed in industry, recommended a minimum wage board. A year later the same commissioners, who included a woman, were asked to investigate the need for mothers’ allowances. During the turbulent 1920s, however, these measures were not implemented. For Murray the Great War, in which two of his sons served overseas, was a turning point in many ways. Nova Scotia abandoned its orderly progress to support a mammoth war effort, including large-scale voluntary enlistment, contributions to Belgium and Britain, and war industries. In the process it had also to recover from the devastating Halifax explosion of 1917 [see Edna May Williston Best]. Although operating budgets produced a series of deficits between 1913 and 1915 – so much so that in order to make a gift of coal worth $100,000 to the British, the government had to borrow the money from an English bank – the war brought prosperity to many through the introduction of munition plants in the steel towns, a building boom in Halifax, and increased agricultural production to help feed the allies. Provincial efforts to support steel shipbuilding, dating from 1901, materialized with the establishment of a shipyard at Trenton in 1916 and a facility in Halifax two years later. 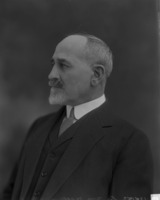 Efforts to bolster the effectiveness of the port of Halifax had already received federal support in 1913 when the Conservative government of Robert Laird Borden* promised $36 million for improvements, including new ocean terminals, railway access to the south end, and adjacent facilities for freight sheds and a grain elevator. Nonetheless, provincial revenues based on coal royalties, succession duties, and the federal subsidy were insufficient by the war period. This situation forced the Murray government to experiment with taxes on corporations, public utilities, land, personal income, theatre tickets, and automobiles. 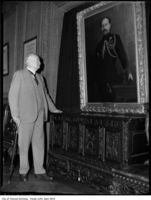 It was with considerable angst that Murray decided to support Borden’s Union government in 1917, thereby breaking with his great friend Sir Wilfrid Laurier. His support had limits – considered for the Union cabinet, he apparently refused – but by October 1917 he was solidly behind the Unionist thrust, including the federal candidacy of A. K. Maclean in Halifax. 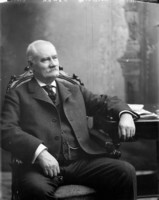 In the realm of federal-provincial relations he was, throughout his career, a steadfast advocate of the right of the Maritimes to compensation for their proprietary interest in the public lands of the central and western provinces, a campaign taken up in 1919 by Liberal mla James Cranswick Tory in anticipation of the Maritime rights movement. The post-war landscape revealed the emergence of powerful interest groups and amalgamations, hitherto unknown or ineffective, which turned Murray’s “sound safe sure” world upside down. They included the farmers, who formed the United Farmers of Nova Scotia in 1920 to provide themselves with a political voice, and the United Mine Workers of America. The UMWA won recognition as the coal miners’ sole trade union in 1917–18 and by 1919 it was openly attacking the government’s mining policy and advocating political action [see Robert Drummond]. Another group was the capitalists who, largely controlled by outside interests, secured provincial incorporation in 1920 of the British Empire Steel Corporation Limited, a flawed amalgamation of the province’s coal and steel companies, Halifax Shipyards Limited, and other enterprises. The deteriorating economy could not, however, deliver the excessive profits demanded by the Besco merger (completed in 1921) without resort to reducing the miners’ wages. Even in the legislature, the government faced new scrutiny. Organized, unemployed men jeered from the gallery in 1922 when Murray, unable to cope with the depression, identified the salvation of Nova Scotia to be economic diversity. “We do not have all our eggs in one basket,” he reasoned. And in Nova Scotia’s towns and rural settlements, citizen groups, motivated by the Good Roads movement, demanded greater attention to the highways, especially the “wretched” roads of Cape Breton. As a result of these ominous signs, Murray undertook two strategies to perpetuate Liberal rule. First, he called his final election a year early, in June 1920, to capitalize on what was left of wartime patriotism and head off emerging third-party challenges. Although his surprise tactic worked – the Liberals won 29 of 43 seats – the opposition was now a loosely allied combination of seven United Farmers and four Labour members rather than the Conservatives alone, who could muster only three seats. Second, after succumbing again to debilitating illness, Murray prepared for his retirement as premier by casting about for a successor. Others could see that he was slowing down. His attendance during the legislative session of 1920 was spotty. In 1921 he was too ill to attend at all, except to appear belatedly for his swearing in, and he spent time in a sanatorium in Battle Creek, Mich. With his exit from politics imminent, legislation was passed in 1921 authorizing an annual retirement allowance in recognition of his long service. Much to everyone’s surprise he returned for the 1922 session and he resigned the premiership only in January 1923; his resignation of his seat followed in February. Meanwhile, the succession was something of a debacle because the first choice for leader, E. H. Armstrong, then commissioner of public works and mines, indicated his preference for appointment to the Nova Scotia Supreme Court. J. C. Tory, the minister next in line, wanted time to extricate himself from his business commitments at the Sun Life Assurance Company in Montreal. Instead of waiting for the more willing Tory, Murray successfully applied pressure on Armstrong. Tory received the lieutenant governorship of Nova Scotia in 1925 perhaps as compensation. If he had a falling-out with Murray over the matter it did not last long since the Murrays lived in Tory’s house in Westmount after they moved to Montreal to be near their family. In 1929 George Murray died of pneumonia at the home of his son Wilfrid. He was buried with United Church rites in Lakeside Cemetery in North Sydney. 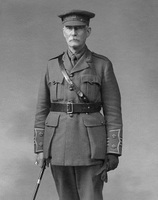 Murray was offered many honours in recognition of his service. He declined a knighthood in 1911 and again in 1914, preferring to be “plain George Murray” as the Halifax Morning Chronicle put it, but he did accept honorary llds from St Francis Xavier College in Antigonish in 1905 and Dalhousie University in Halifax in 1908. His effective leadership for overseas relief during the war was rewarded by decorations from both Belgium (1919) and France (1921). If he had been endowed with greater ambition and better health, he might have been a candidate to succeed Laurier as Liberal Leader, though clearly Fielding stood in his way and both lacked support in Quebec. 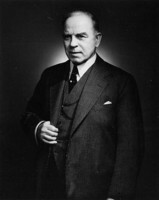 In the event, Murray was co-chairman of the national Liberal convention of August 1919, which selected William Lyon Mackenzie King*. Personally esteemed by all manner of folk, Murray was content to be a mildly progressive, arm’s-length politician who left day-to-day administration to the members of government boards and civil servants. A forceful, imaginative, interventionist premier could conceivably have done more to sustain the momentum of Nova Scotia’s industrialization and to secure more reliable markets for its products. Moreover, when Murray was caught on the cusp of post-war collapse, he lacked three essentials: political clout in Ottawa, industrial harmony at home, and, despite his decades of experience, a strategy for coping with the adversity caused by local de-industrialization and federal policies that favoured central Canada. NSARM, MG 1, 1450, no.4; MG 2, 422–541, 784–90(B) (selected items); 707–17; RG 32, M, Cape Breton County, no.64/1889; RG 39, Halifax, M, 12, no.1; Christina Simmons coll., Helen M. West interviews, May–June 1983. Halifax Herald, 7 Jan. 1929. Morning Chronicle, 7 Jan. 1929. T. W. Acheson, “The National Policy and the industrialization of the Maritimes, 1880–1910,” Acadiensis (Fredericton), 1 (1971–72), no.2: 3–28. Annals, North British Society, Halifax, Nova Scotia, with portraits and biographical notes, 1768–1903, comp. J. S. Macdonald ([3rd ed. ], Halifax, 1905). Christopher Armstrong and H. V. Nelles, “Getting your way in Nova Scotia: ‘tweaking’ Halifax, 1909–1917,” Acadiensis, 5 (1975–76), no.2: 105–31. Canadian men and women of the time (Morgan; 1898 and 1912). CPG 1887, 1897. Margaret Conrad, “Apple blossom time in the Annapolis valley, 1880–1957,” Acadiensis, 9 (1979–80), no.2: 14–39. G. H. M. Cooper, “Politics and fraud in Nova Scotia road policy: the highways scandal of 1920–1921” (history honours essay, Dalhousie Univ., Halifax, 1983). 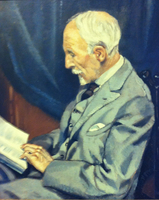 E. R. Forbes, The Maritime rights movement, 1919–1927: a study in Canadian regionalism (Montreal and Kingston, Ont., 1979); “Prohibition and the Social Gospel in Nova Scotia,” Acadiensis, 1, no.1: 11–36. David Frank, “The Cape Breton coal industry and the rise and fall of the British Empire Steel Corporation,” Acadiensis, 7 (1977–78), no.1: 3–34; J. B. McLachlan: a biography (Toronto, 1999). J. D. Frost, “The aborted British invasion: the case of Swan Hunter Shipbuilders, 1899–1914,” Royal Nova Scotia Hist. Soc., Journal ([Halifax]), 2 (1999): 40–51. Roselle Green, “The public life of Honorable George H. Murray” (ma thesis, Dalhousie Univ., 1962). Janet Guildford, “Coping with de-industrialization: the Nova Scotia Department of Technical Education, 1907–1930,” Acadiensis, 16 (1986–87), no.2: 69–84. G. M. Haliburton, Clansmen of Nova Scotia (Halifax, 1979). E. M. Macdonald, Recollections: political and personal (Toronto, ), 555–59. Paul MacEwan, Miners and steelworkers: labour in Cape Breton (Toronto, 1976). Don MacGillivray, “Henry Melville Whitney comes to Cape Breton: the saga of a Gilded Age entrepreneur,” Acadiensis, 9, no.1: 44–70; “Military aid to the civil power: the Cape Breton experience in the 1920s,” Acadiensis, 3 (1973–74), no.2: 45–64. Donald Macleod, “Practicality ascendant: the origins and establishment of technical education in Nova Scotia,” Acadiensis, 15 (1985–86), no.2: 53–92. N.S., House of Assembly, Debates and proc., 1896–1916; Journal and proc., 1896–1923. Newspaper reference book. Nova Scotia Liberal Assoc., Progressive government in Nova Scotia during twenty-nine years of Liberal administration . . . ([n.p., 1910?]). L. A. Sandberg, “Forest policy in Nova Scotia: the Big Lease, Cape Breton Island, 1899–1960,” in Trouble in the woods: forest policy and social conflict in Nova Scotia and New Brunswick, ed. L. A. Sandberg (Fredericton, 1992), 65–89. Standard dict. of Canadian biog. (Roberts and Tunnell). Judith Fingard, “MURRAY, GEORGE HENRY,” in Dictionary of Canadian Biography, vol. 15, University of Toronto/Université Laval, 2003–, accessed April 20, 2019, http://www.biographi.ca/en/bio/murray_george_henry_15E.html.